During the fall season, rats and mice will be tempted to seek shelter inside of your house. Far from a minor nuisance, rodents can create a significant health danger for you and your family members. Professional rat and mouse proofing will ensure that your household is protected from the risks of a rodent infestation. With rodent prevention services from a company that offers rat control near Pleasanton, you can rest assured that your indoor spaces have not been contaminated with furry invaders. To emphasize the importance of proper rodent prevention, here is a look at the diseases that are carried by rodents. Indoor allergies are among the most common health effects of a rodent infestation. Rat droppings, urine, and dander can all cause severe allergic reactions in certain people. If you have noticed that a family member is sneezing, coughing, or developing skin rashes, you may want to determine whether a rodent infestation is the cause of these allergic symptoms. Clearing a rodent infestation can help to alleviate indoor allergies. Leptospirosis is a bacterial infection that can be transmitted directly between rodents and humans. While leptospirosis infection is commonly associated with contaminated drinking water, a rodent infestation in your home can also spread this disease. Some common symptoms of leptospirosis contamination include headache, fever, muscle aches, and vomiting. In order to protect your family members from the serious health dangers of leptospirosis, it is important to practice effective rat removal strategies. Rodents are notorious for carrying the deadly disease that is known as Hantavirus. Hantavirus can be transmitted through a rodent’s droppings or urine. When a person breathes air particles that are contaminated with Hantavirus, he or she may fall ill nearly immediately. Hantavirus is a potentially fatal respiratory infection that can cause fever, coughing, and severe shortness of breath. Fortunately, with professional rodent control services, you can avoid the risk of introducing Hantavirus or any other rodent-related diseases into your home. While rats and mice are among the most common types of pests that may invade your home and yard, there are many other bothersome creatures that can infest your property. If you are experiencing troubles with squirrels, raccoons, or other types of wildlife, do not hesitate to contact a qualified exterminator . Your exterminator serving Pleasanton can create a customized wildlife or mouse extermination plan for your household. To help you address pest issues, here is a look at how to identify and prevent common types of nuisance wildlife. While raccoons may have cute masks and paws, these creatures can become serious pests when they invade your property. Raccoons are attracted to easy food sources, such as pet food bowls and unlocked trash cans. 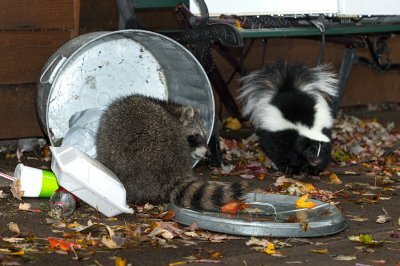 To prevent raccoons on your property, you may need to keep your pet’s food dishes indoors. Locking up trash cans can also help to keep raccoons at bay. Finally, you can also prevent a raccoon infestation by building a sturdy fence. A squirrel infestation can easily be confused for a rat or mouse problem in the home. While squirrels nest in a similar manner to mice, their other habits are somewhat different. Squirrels typically prefer to live in attics and other spaces around the home that provide them with easy access to treetops and the outdoors. If you are dealing with a squirrel problem in your house, you may want to talk to your exterminator about safe squirrel exclusion methods that can be used to extract these creatures from your home. Skunks are among the most dreaded pests that can be found on a property. When a skunk feels threatened, it will spray a defensive odor. A skunk’s scent can be very difficult to eliminate from clothing, skin, and pet fur. Rather than attempting to deal with your skunk infestation on your own, you should be sure to hire a pest control professional to get rid of these stinky invaders. Humane wildlife management practices can be used to keep skunks, raccoons, squirrels, and other unwanted creatures out of your yard. There are many myths that abound about rodents, their infestation effects, and effective rodent removal near Pleasanton, CA . By believing these myths, you could be damaging your home or the health of your family. Don’t become a victim of falsehoods and misinformation. Call for professional rodent control right away. Myth #1: Cats are effective rodent control. Many homeowners and property owners may think they only need to adopt a cat or two to carry out their rodent control. Even though cats can catch mice and rats, they are not effective at catching and killing an entire infestation of these rodents. Cats should not be the only means of rodent control or prevention. Homeowners should consult their professional pest exterminator about more permanent and effective means to control the rodent population in their house or on their property. Myth #2: Clean homes are immune to rodent infestations. 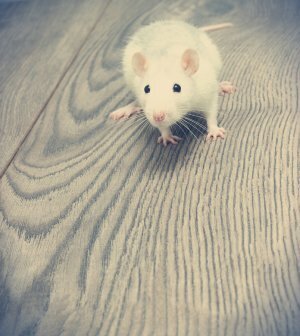 Rats and mice are often found in homes or locations that have a lot of trash or old food laying around. Due to these prevalent sightings, homeowners may believe that they are immune to a rodent infestation if their house is kept clean. Though a clean home is a good deterrent against rodents, it does not mean your home is immune to their presence. Rodents can find many different reasons—food, nesting material, and dark spaces—to infest your home, no matter how clean it is. Myth #3: Rodents only cause chewing damage. Rats especially have very strong teeth that can leave significant damage on wood furniture, and mice often damage clothes and linens. All rodents can cause significant chewing damage, but they can also cause various diseases, stains, and damage through their urine and feces. If an infected rat or mouse enters your home and contaminates your food stores, then you may be in danger of different illnesses carried by these rodents. Even if the rodent is not infected, it can stain your linens and upholstery with its urine. There are many ways your front or backyard may be attracting pests. 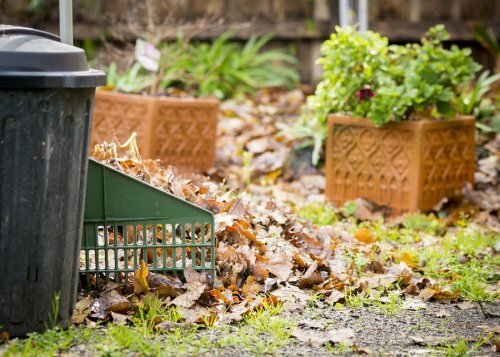 Trash piles, woodpiles, and so many other ways make attractive lairs and places to forage for pests. As your pest exterminator can tell you, there are certain ways to pest and rodent proof your yard to keep pests from making your yard their next home . Remove compost piles and woodpiles. 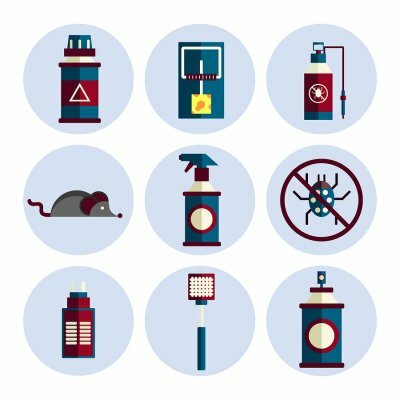 These are the perfect breeding grounds for all sorts of pests, including rodents, cockroaches, snakes, and many more. Keep trash in sealed containers. Raccoons and other wildlife are attracted to the smell of trash. Store, sell, or donate junk that accumulates in your yard. All sorts of pests will use these large structures as breeding grounds, nesting sites, and ways to infiltrate the rest of your property and home. Make sure trees and bushes are trimmed away from the house. If you have tree limbs that reach your roof, then you may unknowingly be allowing rodents and pests into your attic and the rest of your house. Even with rodent proofing inside your home, you still need to keep these areas trimmed back. Consult a pest exterminator on the best ways to rodent proof your yard.